Negative energy accumulates just like dust in a house. This negativity may attach itself to a person being targeted by or generating the energy, an object, or even a location. When allowed to accumulate, negative energy manifests in the form of physical, mental, spiritual, and environmental dis-ease. To the unattuned eye this energy acts as a lurking vampire continuously consuming life-force energy, creating a draining atmospheric fugue. Energetically sensitive individuals may be especially prone to attract this negativity, however these individuals are also the best equipped to combat such energetic intrusions. The technique of smudging, a gift of Native American wisdom, is a simple and effective means of eliminating stagnant negative energy. 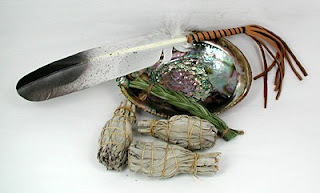 Smudging involves the burning of dried herbs for the purpose of spiritual cleansing and blessing. 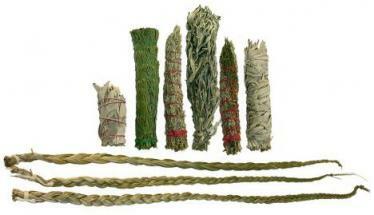 In a smudging ceremony, bundles of dried herbs are bound tightly together into what is known as a smudge stick. 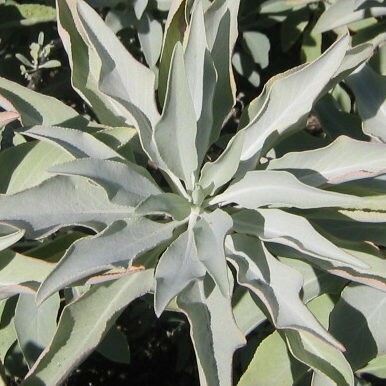 The herbs chosen are regarded as sacred in Native American culture, the most common of which to use is white sage. When ignited, the smudge stick produces an aromatic smoke which spiritual entities and negative astral beings dislike. In addition, smudge smoke carries a negative charge, allowing it to neutralize positively charged environmental pollutants such as fungus, bacteria, and microbial life associated with unclean surroundings. 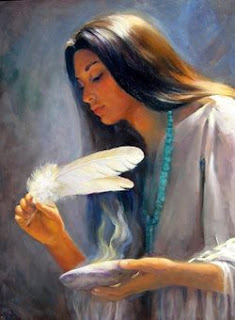 The cleansing power of smudging is enhanced when infused with intention in a ceremonial context. Native American smudging rituals involve symbolically invoking the five elements (earth, water, fire, air, and ether or spirit), in doing so encouraging the restorative influence of nature to enter a space. Typical native ceremonies involve the use of dried herbs (earth), an abalone shell for catching ashes and putting out the smudge (water), a candle or open flame for lighting the smudge stick (fire), a feather for dispersing the smoke (air), and the aroma of the burning smudge (ether). Smudging while focusing your thoughts on positivity, cleansing, and benediction or while visualizing white light or clean energy effectively reinforces the cleansing power of your smudging ritual. 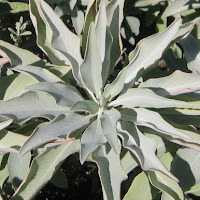 White sage is the most commonly used herb for smudging as it is abundant in the southwestern United States, however there are several other herbs used for smudging which share complementary characteristics with white sage. White sage is associated with protection, blessings, and clearing, but for those who find the particular smell of this herb unpleasant or negatively associated with other smells, Palo Santo, or “holy wood” is recommended. When smudged, this herb helps keep energy grounded and clear, provides an uplifting scent, raises individual vibration in preparation for meditation, and enhances creativity and good fortune. Alternatively, sweet grass can be burned to encourage gentleness, love, and kindness. 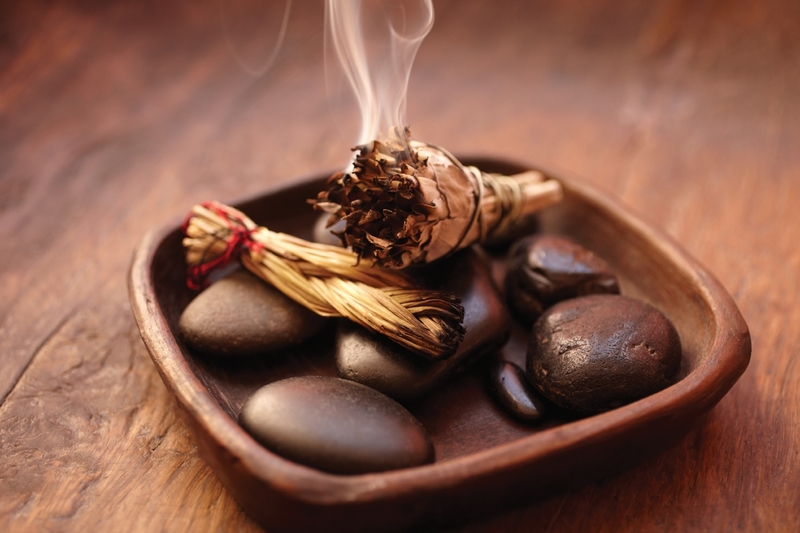 Cedar smudging is associated with the invocation of beneficent spirits, and a boost in immune system function. Smudging is the perfect first step for preparation in ritual. Spread smoke from your smudge stick near an individual’s auric field, over an object, or let the smoke waft through a room or open space. Smudge smoke can even be used to clean and purify exhausted crystals. At The Om Shoppe& Spa we carry a variety of dried herbs and smudging tools to suit all of your environmental cleansing purposes. Stop by to pick up a bundle of whitesage for purification or desert sage for serenity. We also carry Palo Santo smudge chips, cones, and sticks and a cedar and desert sage smudge blend. 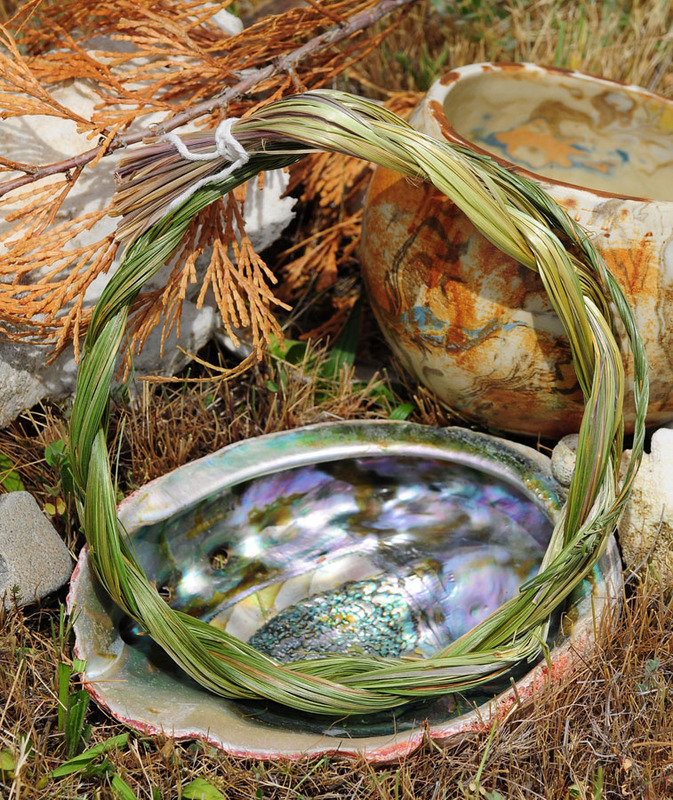 In addition, our smudge kits and abalone shells provide the perfect supplement to any smudging ritual. Don't forget, we're the only shop in Sarasota that carries sweet grass braids! Don’t stand for energetic stagnation, visit The Om Shoppe& Spa to cleanse the negativity from your life!